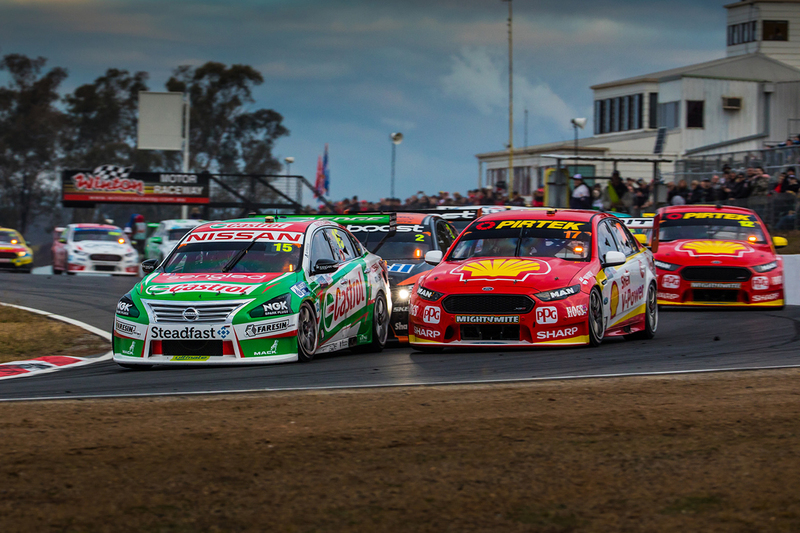 After five events in nine weekends, the Winton SuperSprint marked the end of a busy first phase of the Supercars season. Some teams headed into the mini-break before Hidden Valley happier than others, with Rick Kelly and Fabian Coulthard having taken the wins. Elsewhere in pitlane, there was plenty of head-scratching, with some already facing a considerable deficit to championship leader Scott McLaughlin. 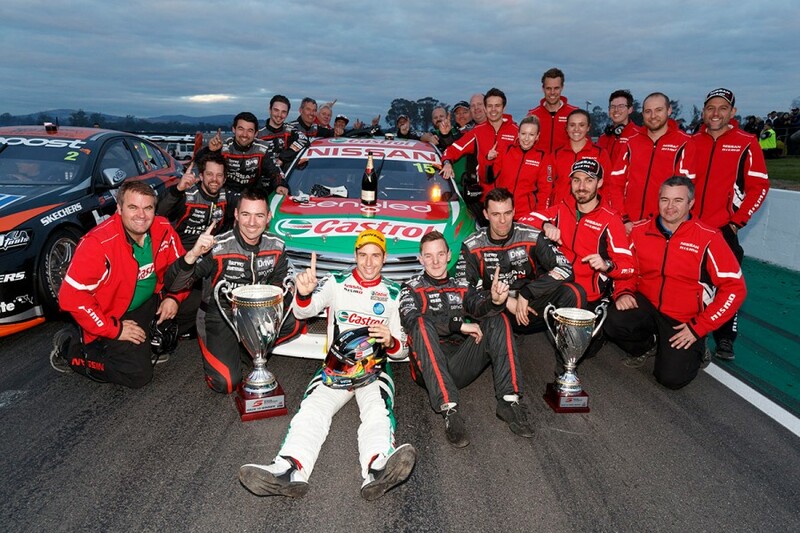 Nissan Motorsport’s Winton week started with bad news but ended with a celebration. The Japanese manufacturer dominated pre-event headlines with Tuesday’s news its sponsorship of the squad will conclude at the end of the season. Its subsequent success on track, though, was the event’s big story. Kelly and Michael Caruso were quick all weekend, leading the way in practice and sharing the second row of the grid each day. A race win on Saturday, pouncing on McLaughlin’s error at the Safety Car restart, was Kelly’s first in an Altima, and first since November 2011. He backed that up with fourth on Sunday, and has moved from 18th to eighth in the points in recent events, while Caruso grabbed a sixth and a fifth. Combined with Kelly’s double podium at Phillip Island and Andre Heimgartner’s pace in Perth, Nissan is in its richest vein of Supercars form since entering in 2013. With its future now clear, admittedly not resolved as it would have liked, the Kelly-run squad can now knuckle down on extending that run. Victories for Kelly and Coulthard have taken this year’s tally of race winners to eight from 14 heats. Coulthard has endured a tough start to 2018, following a pre-season switch from long-time engineer Phil Keed to Mark Fenning. No matter how long Coulthard and team stalwart Fenning have shared a garage, those relationships take time to properly gel. With a string of misfortune including losing his front-row start at Phillip Island for a rear-wing indiscretion, Coulthard has had to watch on as team-mate McLaughlin built a handy championship lead. On the Sunday at Winton, though, Coulthard turned in a commanding performance. Yes, McLaughlin made a slow start, as Coulthard did 24 hours earlier, but the #12 Shell Ford pulled away at the front throughout the 67 laps and didn’t put a foot wrong. 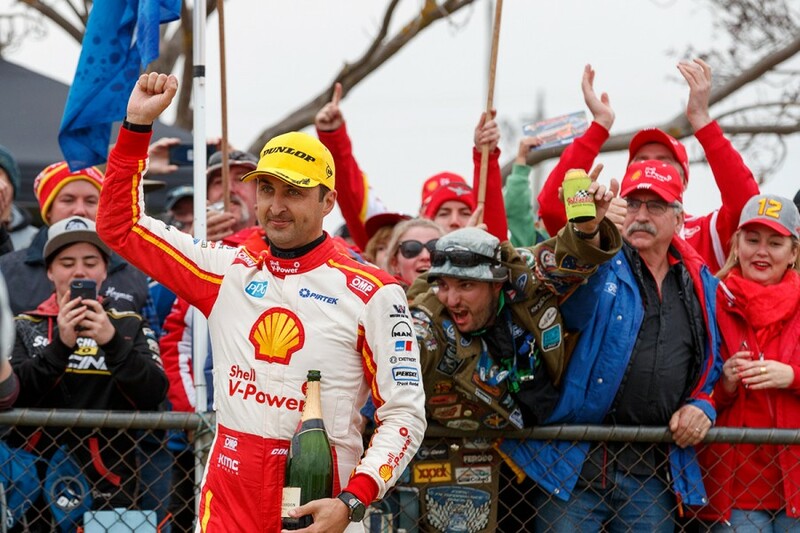 It was Coulthard’s first win since last August at Sydney Motorsport Park, and an important confidence boost. The gap in the schedule could not have come soon enough for Tickford Racing. It left Perth with at least a 2018 podium on the board through Mark Winterbottom but could not fire a shot at its home circuit. Winterbottom was its top Saturday qualifier at Winton in seventh and Chaz Mostert lined up fifth on Sunday, but its best race result came via rookie Richie Stanaway’s ninth on Sunday. Stanaway’s performance amid a turbulent initiation was the only bright spot on an otherwise dark weekend. The Tickford Falcons are struggling for race pace in particular, Winterbottom breaking tyre cords and Mostert lamenting a lack of balance. Cameron Waters barely had a chance to assess his, suffering “embarrassing” axle failures each day. Mostert left Albert Park fourth in the points but has slid to 11th in recent events, as the top Tickford driver. 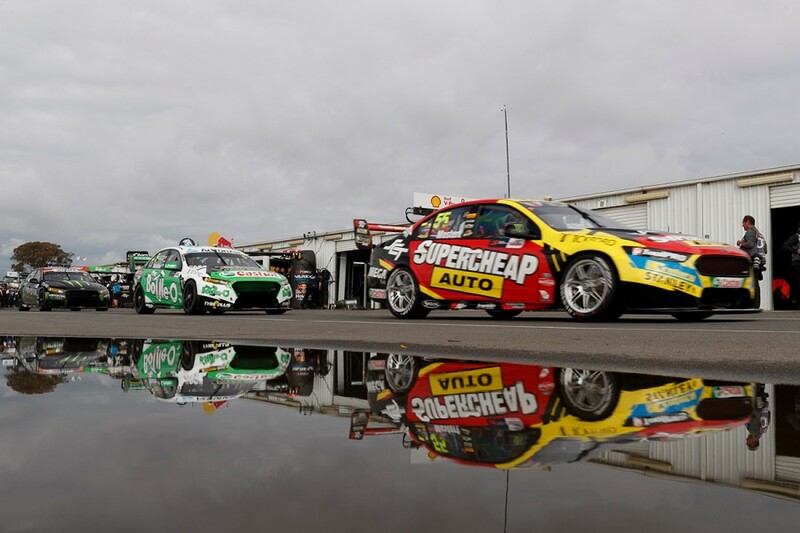 A return to Winton for a test in early June at least offers an opportunity to turn things around. Yes, Shane van Gisbergen finished third and second in the two races at Winton, but it’s far from smooth sailing at Banyo. Van Gisbergen did, after all, have to come from 14th on the grid on Saturday and seventh on Sunday. Jamie Whincup’s best race result was an eighth, while Craig Lowndes qualified down the back both days and grafted his way to the midfield. The factory Holden squad is struggling to nail its qualifying set-ups, with this year’s new ZB Commodore and switch back to 2016-construction Dunlops. For the second time in as many events, both Red Bull Holdens started out of the top 10 on Saturday, Whincup’s hopes of progress then quashed by a broken roll bar. That was the latest in a string of minor problems with the new package that Triple Eight will want to put to bed, Whincup having spoken about them as early as the Albert Park weekend. Like Tickford, the break comes at a good time, especially given its summer workload with the ZB’s introduction. Team manager Mark Dutton is confident it has the package to fight McLaughlin, but feels its upcoming test is “critical” to get back on course. Have the title protagonists already been cast? 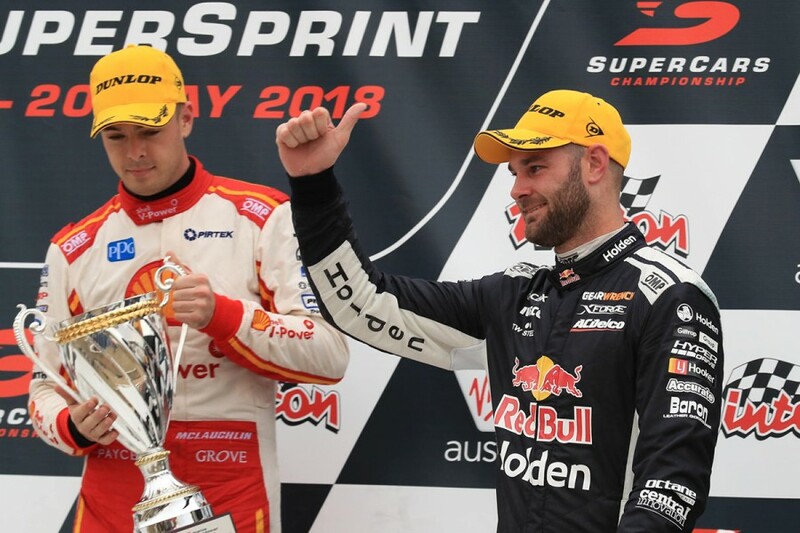 This will no doubt be viewed as premature by some, and maybe even dug back up in November… but is this becoming a McLaughlin vs van Gisbergen title fight? After 14 of this year’s 31 races, McLaughlin leads van Gisbergen by 131 points, with third-placed Lowndes is 299 points – basically an event’s worth – adrift. Lowndes, David Reynolds, Whincup and Scott Pye are all covered by 74 points, while 495 points separate McLaughlin and 10th-placed Tim Slade. 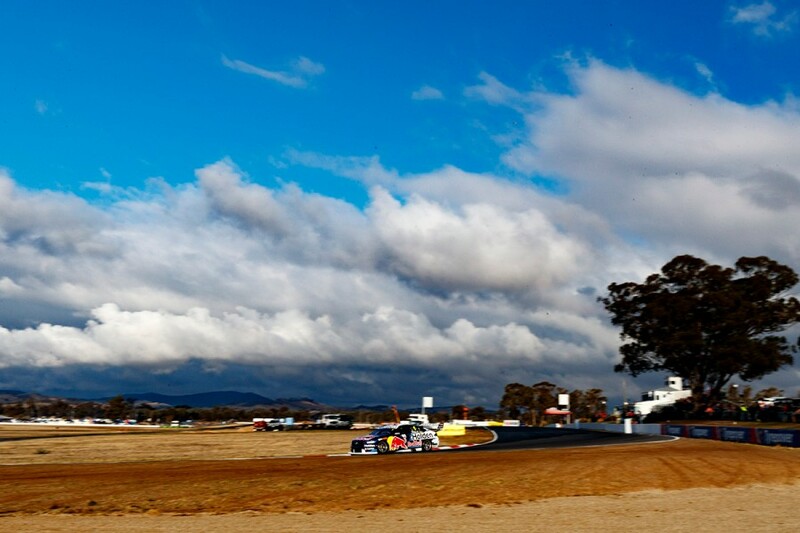 Leaving Winton last year, Coulthard, Whincup, McLaughlin and van Gisbergen at the top were covered by just 37 points, and the top 10 by 357. That is, admittedly, skewed slightly by the lack of Albert Park points in 2017, and that no points were awarded for the Saturday Symmons Plains race. But after McLaughlin and van Gisbergen edged away that little bit more on far-from-perfect weekends, they are the men to catch.